2U, Inc. 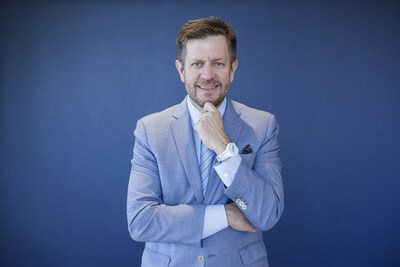 Co-Founder and CEO Christopher "Chip" Paucek Named Washingtonian Tech Titan for the Third Time | 2U, Inc.
LANHAM, Md., Sept. 20, 2018 /PRNewswire/ -- 2U, Inc. (Nasdaq: TWOU), a global leader in education technology, today announced Co-Founder and CEO Christopher "Chip" Paucek has been named to the 2018 Washingtonian Tech Titan list. It is the third time that Paucek has been chosen as a Tech Titan, a list which is determined based upon a biannual survey of tech luminaries across the broader D.C. region. "It's fun to be recognized again alongside such a great group of fellow entrepreneurs and innovators. The Tech Titan list is a reminder that innovation is alive and well in the D.C. area – not to mention we have a much better cost of living than the Bay Area. Watch out, Silicon Valley." Paucek is a widely respected CEO and leader in the education technology sector. He has earned numerous accolades since co-founding 2U a decade ago, including the Ernst & Young Entrepreneur of the Year Award in 2012, the Goldman Sachs 100 Most Intriguing Entrepreneurs Award in 2013, and multiple Highest Rated CEO awards from Glassdoor. In 2017, Paucek was also named among America's best chief executives by Institutional Investor magazine, ranking third among mid-cap technology, media, and telecom companies.